The Hugs are not creatures of habit, not one bit. 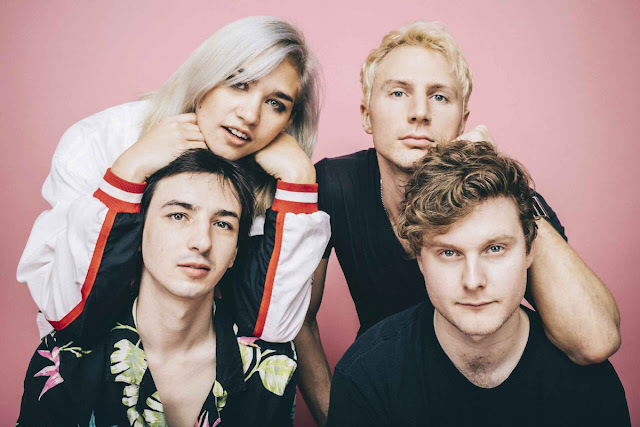 As far as their music is concerned, their approach to writing songs and being creative seems different to that of most other bands. They enjoy shaking things up a bit, it has got to be challenging, before it can get good. The Portland Oregon based 4-piece has been letting It's All Indie into their creative space, sharing some fascinating insight into how they go about setting themselves concrete challenges and create a 'competitive' environment for writing new song material in but still produce some important work together. It remains a team effort. If this sounds intriguing but interesting then do bear in mind that there is a method in place, it seems to work really well for them and it gives them the results they are looking for. Lead singer and guitarist Danny Delegato, drummer Keagan O'Brien, Jack Burgess, who plays guitar and sings and Kauri Voss, the band's bassist and vocalist are a super creative lot who all enjoy working hard on their songwriting craft. But they also know how to have fun along the way. The band have some exciting news to share, on Valentine's Day, they will be releasing a brand-new EP. Danny: we did it all DIY, we did not go to the studio much. I think it was an interesting process just a very different way to write music. Titled New Utopia EP, the band's new release 'documents' their creative journey of exploration. It is a sharp, wintry, or cool, yet poetic world. It is fascinating and it continues to raise questions and increase any existing curiosity about the band, it keeps you interested. In The Hugs' world, the creative challenge consists of pushing yourself and focus on writing 25 songs in 20 hours. It is not easy. But according to the indie 4-piece, 25 songs written in this manner, translates into an average of three songs, suggesting it has real creative value. Kauri: as soon as we start to get hungry and we realise that the faster we can write the more times we can get to eat and currently we have songs about popcorn and pizza. Danny: it is just an exercise I guess corresponding with the other things we are doing. It is actually a very demanding creative exercise but we get a lot out of it which I think is important. Working fast is demanding but you get inspired. Probably as a result The Hugs' new EP probably is entirely different to what you might be anticipating. 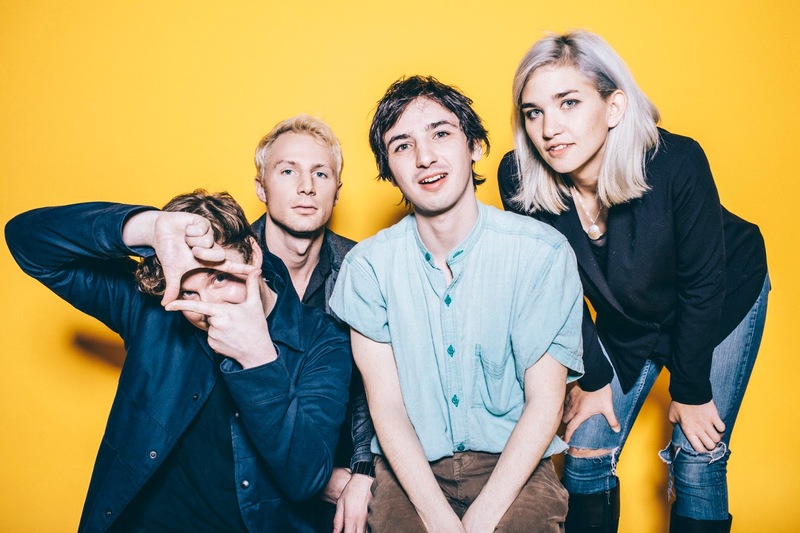 It is dreamy with the previously familiar angsty-garage, 'grunge-light' trademark sound seems to be, at least, temporarily, put to one side. Instead, New Utopia explores a dreamy synth-pop soundscape with romantic overtones. Stylistically, perhaps coincidentally, Keagan O'Brien became the initial sonic inspiration for this EP. Having watched and immersed himself in Netflix Original hit Stranger Things, he believes some of the inspiration for this EP comes from the binge streaming Netflix favourite. Danny: the thing about the EP was that we were just joining up writing some new songs. Our drummer Keagan had some instrumentals and when I started singing naturally, it worked out really well. Keagan: some of the songs can be described as guitar synth, or guitar effects on synth. It is like pulling off a magical trick. Or perhaps it is just like adding a guitar, it has been super-interesting to work that way. Added to the synth pop, a range of British 80s pop acts including the likes of Tears for Fears and disco music are influences. Jack: I have never written music like that before but I kind of wanted to match guitar lines to compliment without overshadowing what is going on because it was important to let the synth be the foundation and really let that shine. I wanted to bring out my inner Nile Rodgers from Chic. Only one step of the process was done 'out of house', they chose to get the mastering done professionally. Jack: an old-school Seattle kind of rocker guy who did it for us for most of the songs. It just felt right, he was just really good at shaping things, he understood what we were looking to achieve. We knew we wanted to work with him and he did a really good job. Jack: when you go into the studio there is just loads of stuff to consider but he just kept things simple. He is a really great guy. The songwriting 'competitions' for the band members were based on the idea that producing large quantities of songs can and will form the basis of the end result. In The Hugs' instance, this means good quality songwriting with tunes everyone in the band likes and agrees on. Lyrically, a lot of thought, and emotion, seems to have into the writing. Danny: I wrote a lot of the lyrics. One day I heard something in an airport and that really inspired me. Everything worked really fast and felt very natural. There is a sense that some of the lyrics are personal, focusing on themes such as loss and regret. The substantial nature of the lyrics create an in interesting contrast when matched up with the poppy, light nature of the music. Danny: there are a lot of things there, it is almost like new beginnings. Some of the songs are pretty poppy. I guess to an extent, it is still like I am just like trying to work my life out, they are bit nostalgic. But I think the EP is generally upbeat. Happy music but with some sad soulful lyrics. They seem enormously and endlessly resourceful. While this is great, they do deserve some support and be part of a team. Kauri: having professionals on your side is definitely something we are shooting for. We are currently without a manager, currently without a booking agency, but that would make our lives so much easier to have that in place. Kauri: right now I do a lot of the marketing and going into the studio, it is nice to have more freedom and knowing you have somebody who has got fresh ears. Someone who is excited about you, someone who is in the corner. New Utopia leaves you hungry for more and it looks as if the band may well release a new album this year. 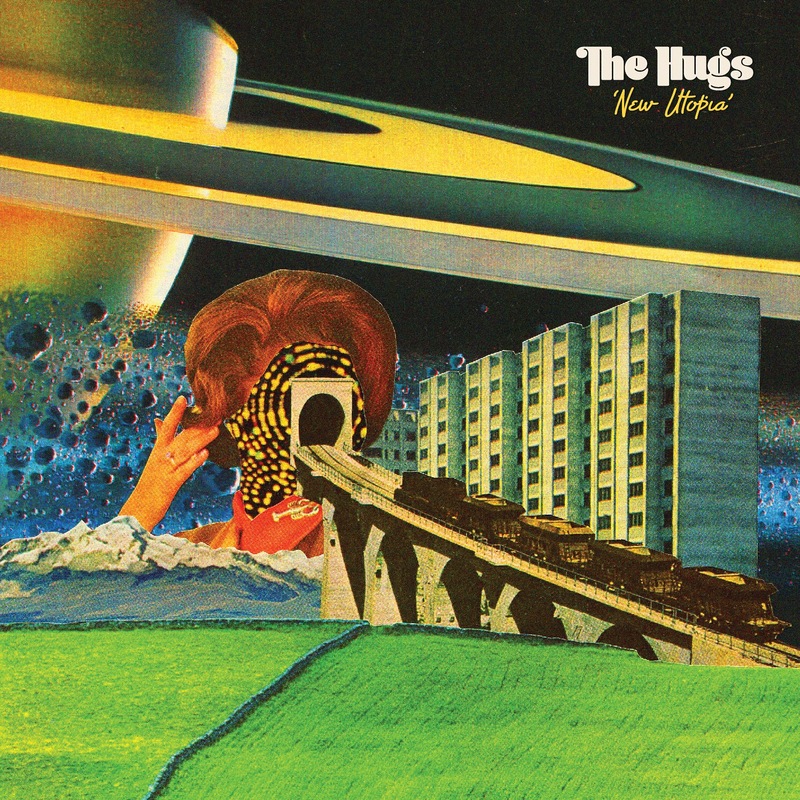 The Hugs are an extremely fascinating and talented band. To say it will be interesting to see what they get up to next would be a huge understatement, it won't be boring, that is for sure.